We will soon be starting our fifth Baby Bottle Campaign and continue to order and use your bottles. They have been a great help to us in raising funds for our ministry. Our only problem with the bottles is that some people like them so much that they don't return them! 5 stars plus! We did this fundraiser at our parish and it was a huge success! Thankful for the positive response. I obtained a bottle when visiting my daughter's parish. They were using them for a fundraiser. The card and info was easy to understand and we enjoyed filling the bottle. Even when someone would stop by our home, they would add loose change to our bottle! While visiting my daughter's parish, I got a Change for Life bottle. Now I am recommending this for my parish as a fundraiser! Excellent results! Best fundraiser ever!!! These bottles are so much nicer than others we have used. These ready to go, baby bottles are perfect for making your next fundraising event easier. We have done "Baby Bottle Boomerang" fundraisers for many years. 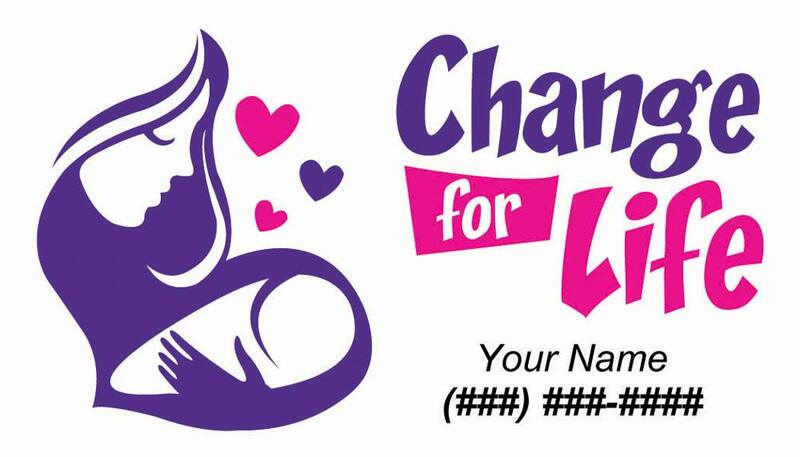 Just buying regular baby bottles, printing up stickers, designing our own bottle tags and having volunteers assemble them, has been so expensive and time consuming for us that we CAN'T WAIT to start using the pre-made Heritage House "Change for Life" bottles!!! Just got these bottles in and there are perfect for our Bottle drive! We just received our bottles from the diocese and will start our first parish Change For Life campaign in 2 weeks. We're very excited! And very happy with the quality of the baby bottles and the attached cards. Thanks for all your help supporting pro-life organizations! Excellent quality bottle for re-use during our spring "change" campaign. 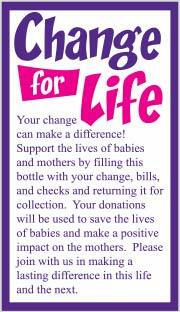 This is our second year using the bottles to raise money for our pro-life organization. They are of high quality and very durable. 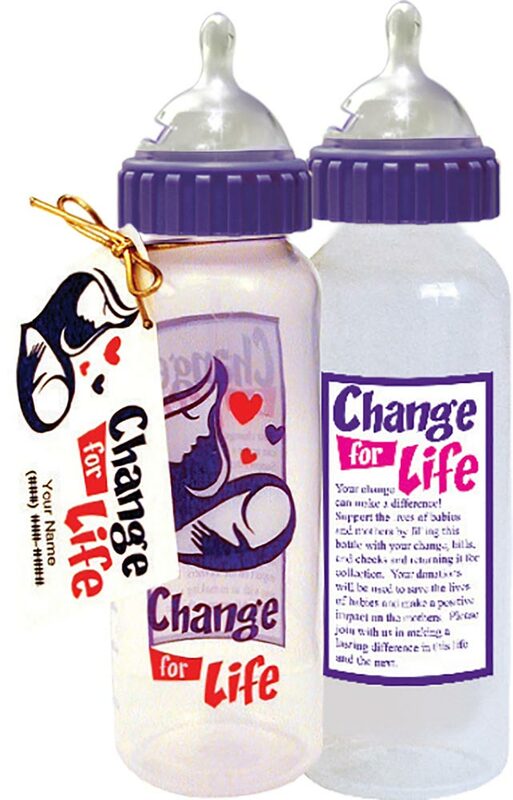 We have been very successful with our baby bottle campaigns and it is very encouraging to see so many families take the bottles and use them as a teaching opportunity to value the life of the unborn. These bottles make a great and reusable fund-raising collection system. The bottles instantly remind the donors of what they are used for. They are durable enough to be reused in follow-up campaigns. The pro- life group at our church uses these every year for our fundraiser. It is easy and gets a good response. It is amazing how this simple bottle motivates giving. If your group has not used these...do it! I think it is a great tool for families with kids learning to give.